Nvidia is today announcing its new Shield Hub Beta App, which will enable the streaming of games in 1080p for Shield device users. 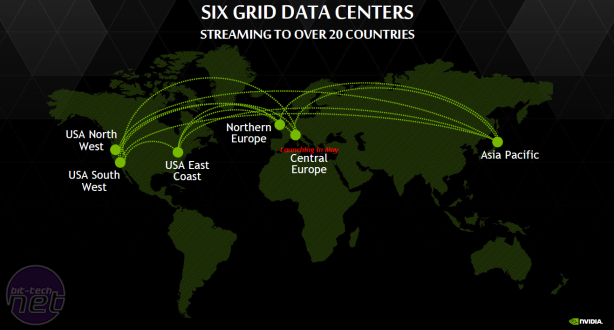 Grid is Nvidia's cloud game streaming service – billed as the Netflix for gaming – that officially launched in November last year. Available on each of the three Shield devices (the Portable, Tablet and Android TV), it allows you to stream and play AAA games on your portable Shield device or to your TV using your device in console mode. Up to now, you could only stream games at 720p, but Nvidia is now upgrading the service so to enable 1080p, 60fps streaming. It is the world's first game streaming service to offer this high a resolution and frame rate, and for some games it will mean the ability to play them at settings in excess of what many consoles can do. There are over 35 games capable of running at these settings, and as the Grid servers are upgraded from Kepler to Maxwell hardware this roster is only set to increase. To access 1080p streaming, you'll need to connect your Shield device to your TV in console mode – after all, such a high resolution is not possible on the Shield Portable, and hard to appreciate on the small screen of the Shield Tablet. You then need to download the Shield Hub Beta App by joining the Shield Hub Beta Google Plus community using the same Google account as that on your Shield device. Then, become a tester on Google Play, and the update to the Shield Hub should then be available through the Google Play Store. The full, official release of the updated Shield Hub app is currently planned for later this month. That's not the only set of requirements, however. 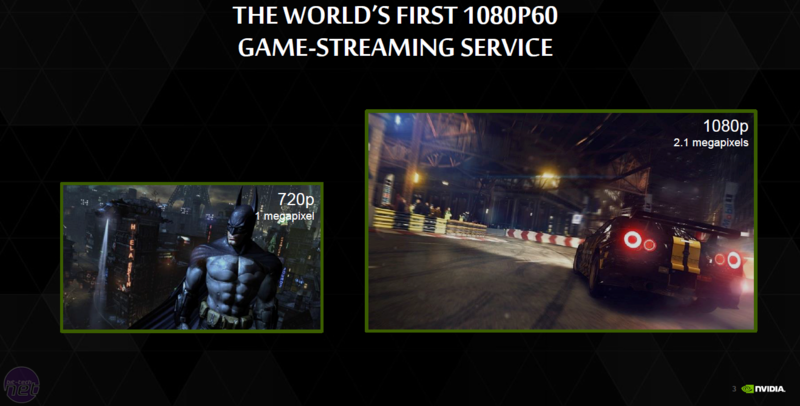 As you might imagine, streaming games at 1080p and 60fps puts high demand on a network. You'll need a connection with a minimum of 30Mbps downstream and a Shield ready router (check the list here), so initially it's only likely to be available to a few, at least in this country. If your connection becomes unsuitable while playing, Grid will automatically drop you back down to 720p to ensure a high frame rate is maintained. Grid is still available completely free for all Shield users – for Nvidia, this has been the best way to introduce users to Grid as well as stress test its service and gather feedback. However, this will only last until June 30th, when an as yet unannounced, single tier payment structure will be introduced (i.e. no extra pricing for 1080p). The service currently has almost 50 accessible games, with new ones added each week – some are occasionally removed as well. 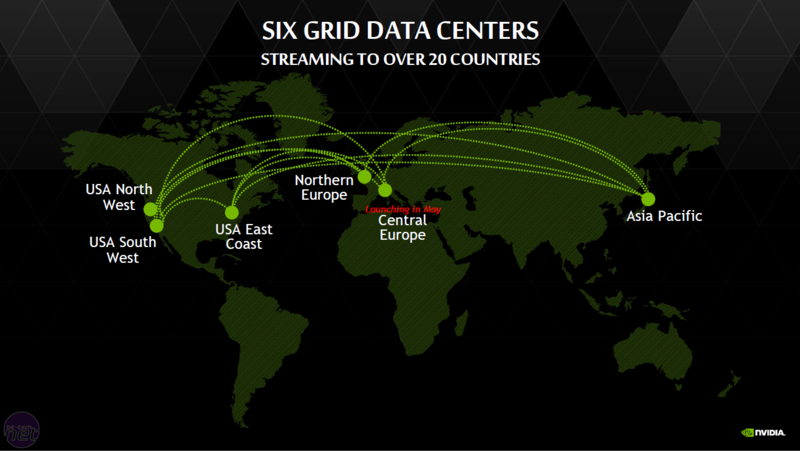 Nvidia will also be upgrading Grid in another way later this month, introducing its second EU Grid data centre in central Europe to complement the one already in Dublin and taking the total to six worldwide. The end result should be improved performance for all of Europe, as central countries will have a closer server while Northern Europe's server will have reduced load. The new server will also introduce age restriction and verification in line with Germany's laws, although Nvidia says it will bring them to every server. Have you tried Nvidia's Grid service? How does it work for you? Let us know your thoughts in the forums.